In a city painfully oversaturated with raw fish and poke places, Chikarashi rises far and above. The fast casual counter spot offers high end chirashi bowls for dine-in or take away. Chef MIchael Jong Lim is an alum of restaurants like Masa, Aldea & Neta so it's no surprise that the man knows what he is doing with fish. There are 11distinctive bowl options and weekly specials with the highest quality fish you can find like expertly sliced bluefin toro, hamachi and unagi. 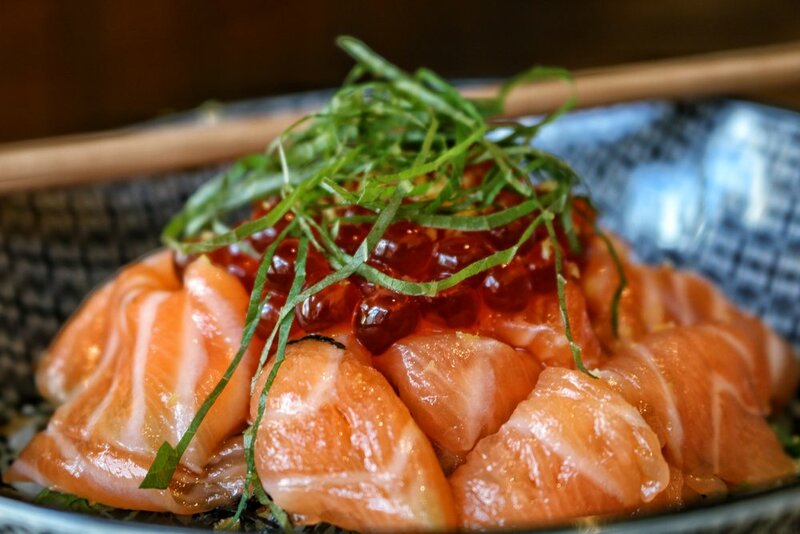 Creative options include Sichuan chili salmon with sansho mayonnaise, furikake, shoyu daikon & katsuo panko or negitoro don tartare with nigiri shoyu, avocado, nori & shiso. It is rare & exciting to find such quality in what is essentially a fast casual concept. Look for two more locations opening soon in Nomad & FiDi.